options (I couldn't help but get two colors in this bootie because I loved them so much!) and if your size is not available, keep checking back because they have restocked a few times! Just a heads up, if they run true to size, I always size up half a size in closed toe booties I get so they can still be comfortable with socks :) You can check out more NSale boots, booties, and other shoes HERE. I'm loving all of these picks! 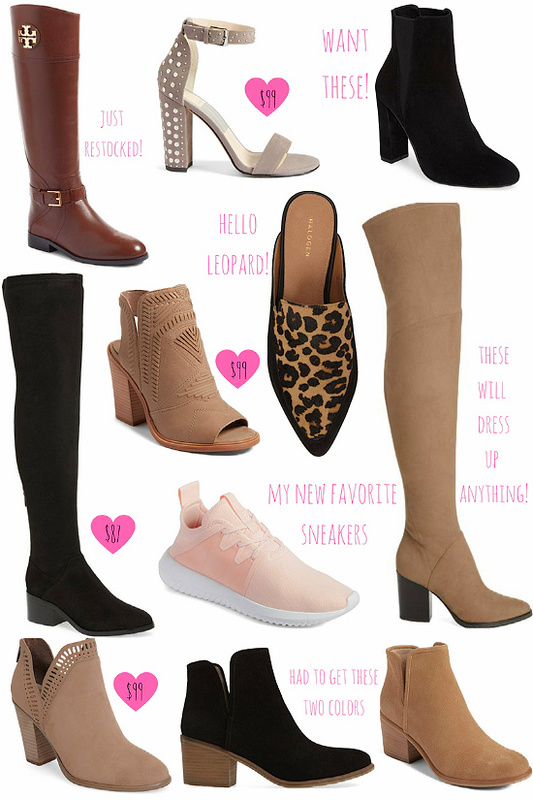 So many perfect ones for fall!! Thanks girl! They will definitely be perfect throughout fall and winter! I love your picks! I just purchased the Steve Madden thigh high boots. I don't own a pair of thigh high boots yet, last year I bought a couple pairs and ended up not liking them and returning them. So here's hoping this boots work out. Those were my favorite thigh highs this year too but havent caved just yet!! Definitely let me know if you love them and I'll totally get them if you do!